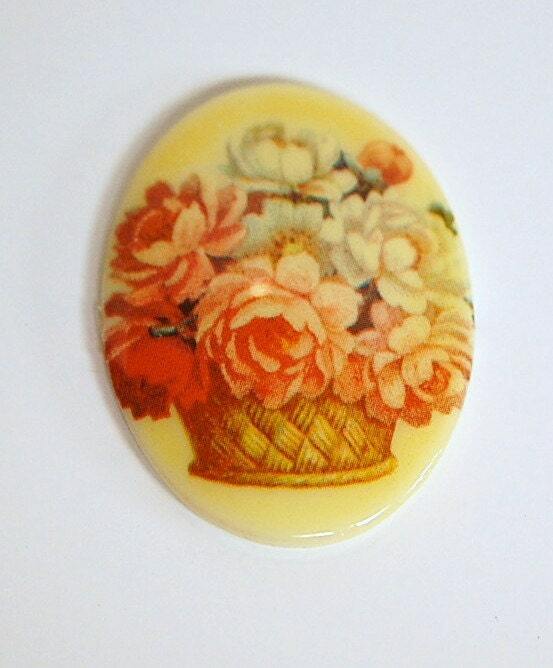 These are vintage glass cabochons that were made in Western Germany. They have a glass base with a floral decal on top. There is yellowing of the decal which is probably from age and it gives the piece an antiqued look. This measures 40mm X 30mm. You will receive one piece.